I thought I would have a little fun with the gals when it came to gift #3. 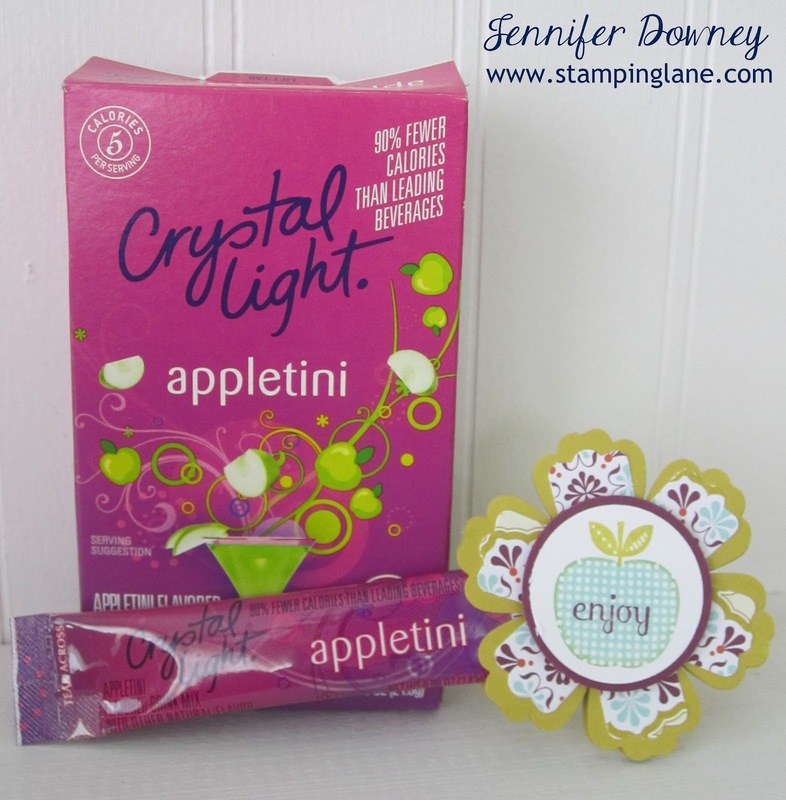 I discovered this fun, new Crystal Light flavor at my local store last week and I immediately put a box of them in my cart. 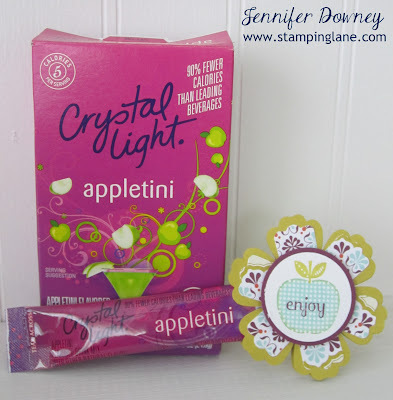 I thought it would be fun to "add a little kick" to the bottle of water you get with your lunch at Stampin' Up events. 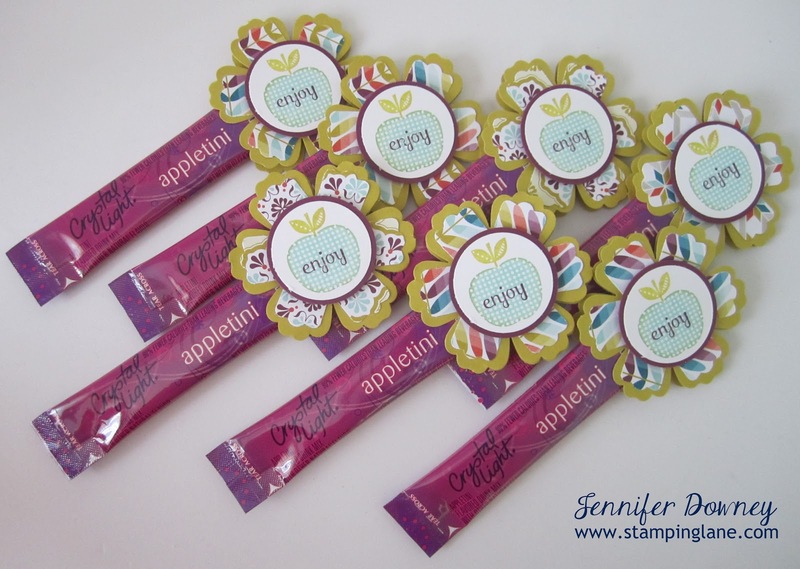 I used the Blossom and Modern Label Punches for the flowers. I also did the Rock & Roll technique on the apple from the Perfectly Preserved stamp set to spice it up a bit. The gals loved them! Happy Stamping!